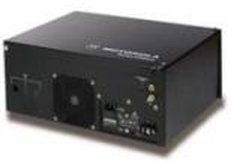 Increase the range and capabilities of your mobile and portable radios with the GR500 repeater. It provides the flexibility of frequency bands, power levels, and mounting requirements in a wide variety of applications. VHF, UHF, and Cross-band Capabilities are available in this unit. Optional Controllers can be added for enhanced features such as telephone interconnect, multiple PL/DPL codes and signaling. Modular Design - Allows quick field replacement of disabled components. Wall-mount, lockable, heavy duty metal case - Provides ability to remote mount the repeater in an unattended yet secure site. Supports VHF/UHF Cross-band Operation - Allows UHF and VHF radios users to communicate with each other. Internal Mounting Space for additional components - Allows duplexers, preselectors and battery revert modules to be installed internally.